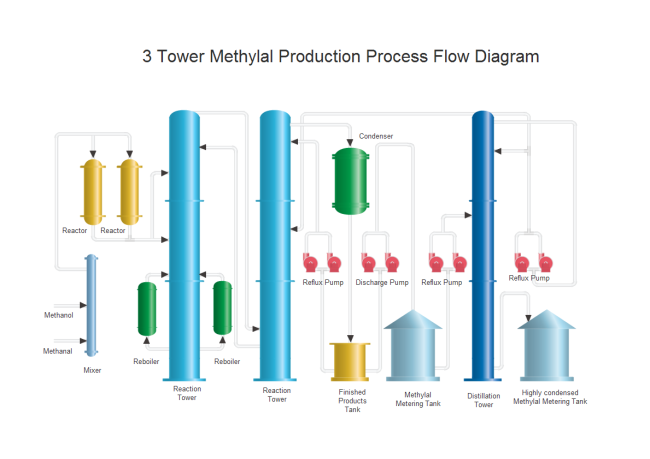 Description: The methylal production PFD template is a highly artistic presentation of information. Wonderful illustrations and perfect use of color work really well. Download it for free and make some modifications to suit your need.